Adding a site map helps visitors (and search engines) to find more of your content and is a great resource for people who experience difficulties navigating around your site. 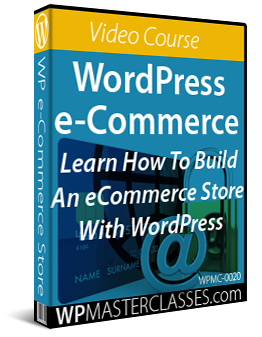 They can just visit the site map and click on where they want to go on your site. 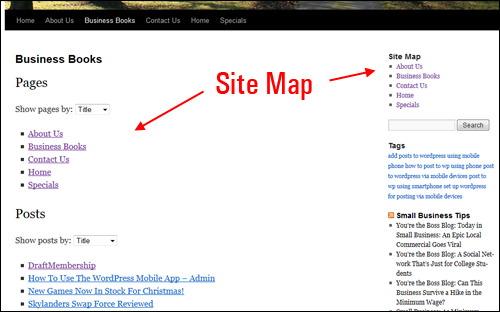 In this tutorial, we’ll show you how to add an HTML site map to your WordPress website or blog. A “site map” (not to be confused with sitemap) is a regular web page containing links to other pages on your site that can be read by humans and search bots alike. A site map can also help drive more visitors to your site by earning you free organic links from various assistive technologies and bots that roam the net looking for content or reference sites. You can build a site map manually simply by creating a new page and then adding links on the new page to your main site pages, or even links to your category pages (which will then display content organized by categories). To improve search engine optimization and create a better experience for your site users, you could also include a short description of the content your visitors can expect to see when they click on the links. 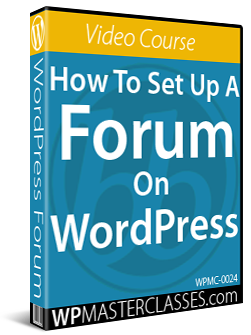 In this tutorial, you will learn how to create a site map on your WordPress site for your visitors that will self-update automatically whenever new content is added, using a WordPress plugin called Dagon Design SiteMap Plus – an HTML sitemap plugin. 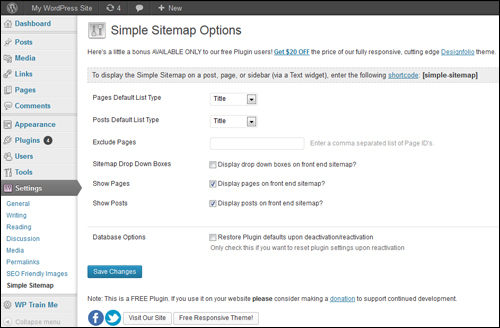 This plugin adds an HTML sitemap plugin to your WordPress site quickly and easily. 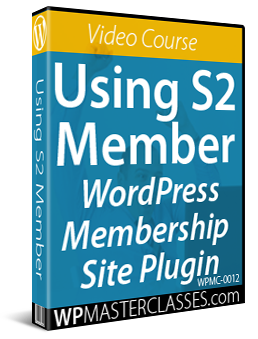 This plugin creates a sitemap for your WordPress-powered site. This is not an XML sitemap plugin but a true sitemap generator, which can be customized from its own options page in the WordPress admin panel. 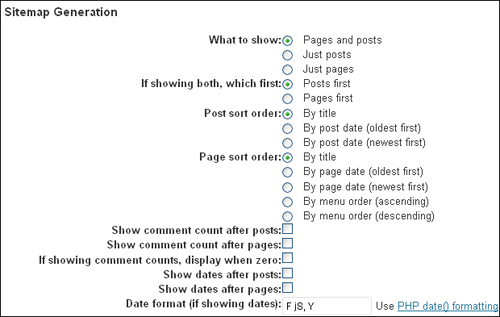 Choose what to display, what order to list items in, show comment counts and/or post dates, and much more. Before you can generate your site map using the plugin, you will need to create a page on your site to display the site map content. Enter your “Sitemap page slug“. 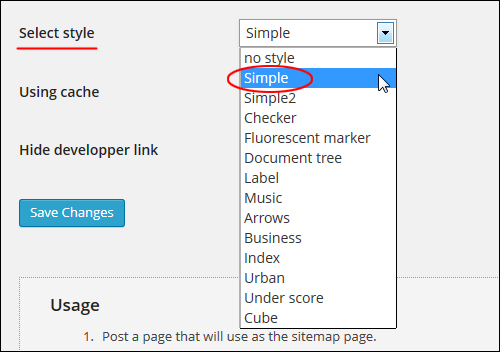 If you do not want certain categories or pages to be included in your sitemap, then enter the ID of the categories or pages you want excluded from the sitemap in this section (if you need help with this step, see this tutorial: How To Find Your WordPress Post Or Page Id). 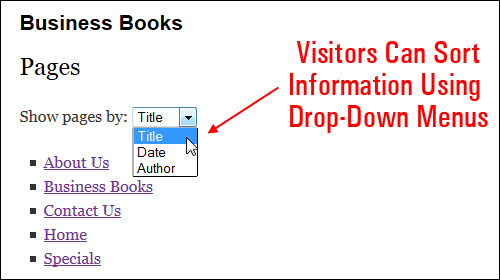 If there are pages on your site that you would like to include in your sitemap, but not display to visitors on your site’s navigational menus. Enter the “Full path to XML sitemap” value. Use either the XML sitemap created in the WordPress SEO Plugins tutorial to your robots.txt file or the XML sitemap created using the Google XML Sitemap Generator plugin into this section. You don’t need two XML sitemaps. Now that you have configured your plugin settings, the next step is to add a link to your site map page on the footer section of your WordPress theme. 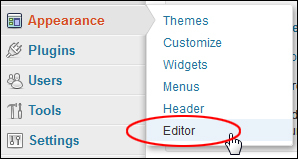 Editing content on your footer file directly through the Appearance > Editor menu inside your WP-admin area. 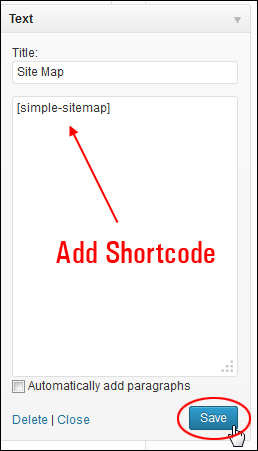 If you don’t see your site map displayed on your Site Map page, check that you have entered the site map shortcode correctly into your page’s text editor tab. Your plugin is now fully configured. You don’t need to do anything further after configuring this plugin. When new content gets added to your site, a link pointing to new posts or pages published on your site will automatically be added to your site map. Should You Include Your Index Page In Your Sitemap? 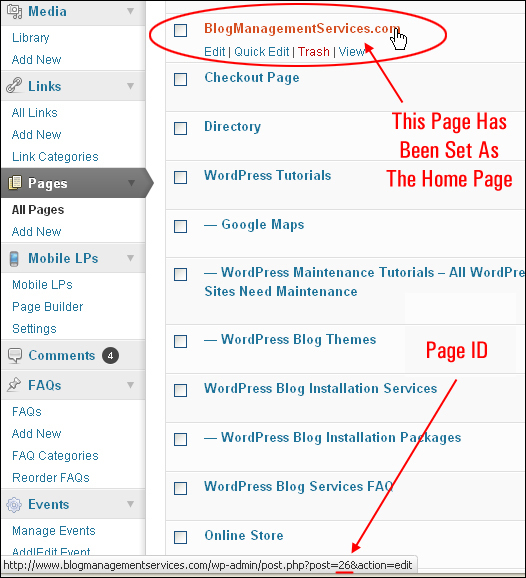 WordPress lets you to set any page of your site as the “home page” (see this tutorial: How To Display Any WordPress Page As Your Home Page). 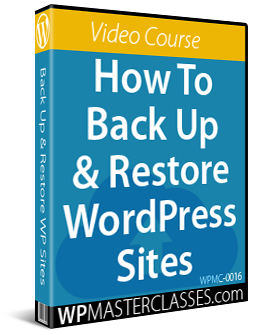 If you set a WordPress page as the “home page” of your site, WordPress internally redirects the URL of that page to point to your main domain. In this situation, excluding your site’s default index page link from being listed on your site map can help prevent your index page being seen by Google as “duplicate content“. 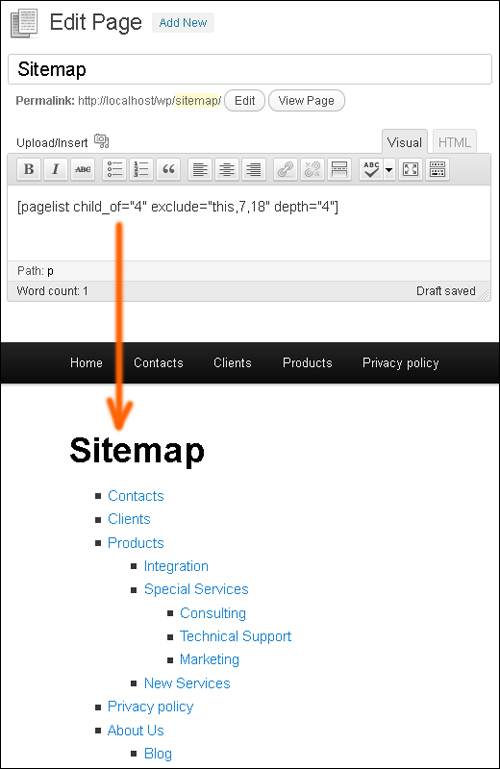 As the plugin name implies, Simple Sitemap adds a very basic HTML site map to your site. 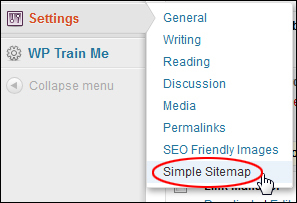 Simple Sitemap lets you add a single, one-column site map listing all your Pages and Posts quickly using a shortcode. You can also add a site map to your sidebar using a text widget. 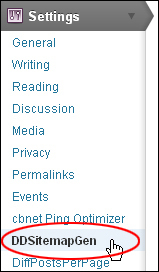 The order and style in which your posts and pages are displayed on the screen depends on the drop-down option chosen in the settings. Post/pages are rendered as a single linked list of titles, or they can be grouped by date, author, category, and tag, where each heading acts as a link to the relevant taxonomy type as well, giving your visitors an efficient way to view all of your site content in one place and making it easier for spiders to index your site. If you want to have a little more control over the way your site map displays on your site, then try the plugins below. 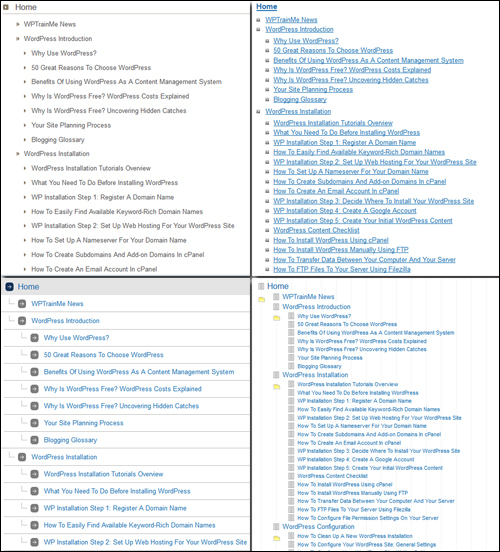 Page list lets you display site maps using various shortcode configurations. 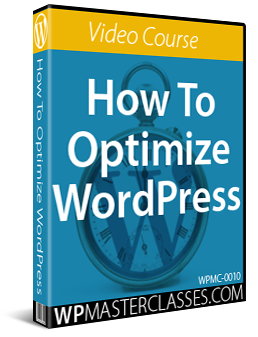 The WP HTML Sitemap lets you add a responsive HTML site map to your WordPress site using the XML sitemap settings from the Yoast SEO plugin for WordPress. Use this plugin to display a list of all your Pages and Posts, specify the number of columns and add styling options using CSS. 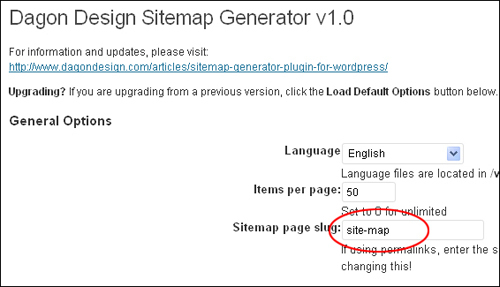 To see an actual site map created using this plugin, go here. Congratulations! 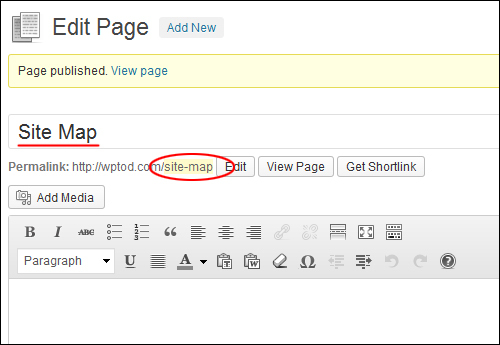 Now you know how to add an HTML site map to WordPress.